and lead it back home. the life among the dead. a 1000 years it seems. Co-founders Lee and guitarist and songwriter Ben Moody met while in their early teens. "We were at a youth camp," Moody recalls. "During some sort of recreational period held in a gymnasium, I heard Amy playing Meat Loaf's 'I'd Do Anything for Love' at the piano. So I went over to meet her, and she started singing for me. I was pretty much blown away, so I suckered her into joining a band with me." Since that day, the musical relationship has remained dependably loyal. "We have the same exact vision regarding what we love about music," Moody says. "When it comes to songwriting, we finish each other's thoughts." Evanescence first took shape in Little Rock at the end of the '90s. Predictably, the band didn't quite fit the mold of most others lingering around the Midwestern state. "It's typically death metal or really soft, older-people music there," says Lee. "I don't even know of any local bands that have female singers." Influenced by a wide-ranging collection of artists such as Bjork, Danny Elfman and Tori Amos, the band started releasing EPs of its material. Even without the benefit of live performances, Evanescence began to establish a reputation. "A lot of it developed by being elusive," Moody remembers. "The second song we ever wrote was this seven-minute, ridiculous Goth anthem called 'Understanding.' And for some reason, the local rock station decided to play it a lot. We gained this popularity around town, even though no one knew who we were or where to find us. It was because we could never afford to play a show — it was just Amy and I — and we couldn't pay any musicians." Fallen was tracked in Los Angeles with producer Dave Fortman (BOYSETSFIRE, Superjoint Ritual). The album successfully finds that intangible balance between lush beauty and primal heaviness. Typical of the record is the first single, "Bring Me To Life," a piano ballad-turned-riff-driven barnburner. Highlighted by a guest vocal from Paul McCoy of 12 Stones, the song is featured prominently in the Daredevil film and soundtrack. "'Bring Me To Life' is about discovering something or someone that awakens a feeling inside them that they've never had before," says Moody. He continued, "You discover there is a world that is bigger than just your safe bubble." Also significant is the vibrant anthem "Tourniquet" and the eerie "Haunted," with its pummeling beats and jarring melodies (augmented by chamber choir arrangements courtesy of Lee). Of the latter, Moody asserts, "It's the song that is the most 'us'. That best sums up what we strive to sound like." 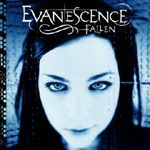 Lyrically, Evanescence explores dark, introspective themes of love, desperation, and despair. But the group insists its fundamental message is a positive one. "The point of this whole record and band is to let people know that they're not alone in dealing with bad feelings or pain or anything that they go through," says Lee, who pens most of the words. "That's life and that's human. They're not alone, and we're going through it, too." Live, Evanescence functions as a quartet with John LeCompt (guitar) and Rocky Gray (drums) rounding out the line-up. "As a four-piece, we are able to carry out the intricate harmonies and orchestrations of the memorable material on Fallen," Moody emphasizes. "We're very sincere about what we do. There's so much pre-packaged teen angst these days in music. That's not us. We're not trying to sell an angle, we're just here writing from our heart."